Apply cleanser to skin and massage in with circular motions. For a deeper cleanse, you can keep Ceramic Slip on for one minute, then rinse with warm water. Avoid direct eye contact. If contact occurs, rinse thoroughly with water. This product is not intended to remove eye makeup. The best clean of your life! I have fallen head over heels for a cleanser! It may sound crazy, but it's so true. The Ceramic Slip Cleanser really gives my Oily/Combo skin the deep cleanse that it needs. It contains French Green Clay which really helps keep my oils at bay all day long and is one of the few that I have used that actually removes all traces of makeup from my skin and doesn't strip it of it's natural oils. My skin feels so soft, supple and squeaky clean when I'm done. It has definitely become part of my daily ritual! I use the Tidal Enzyme Water Cream to moisturize afterwards. These are by far a great pairing! Where have my pores gone? This product is beautiful! The smell is very strong but not unpleasant. It removes my makeup first wash, and literally leaves my skin so soft. No dryness at all. Am yet to see if it helps with my mild acne but literally I cannot find my pores anymore they are so small. Love it. Will continue to buy. 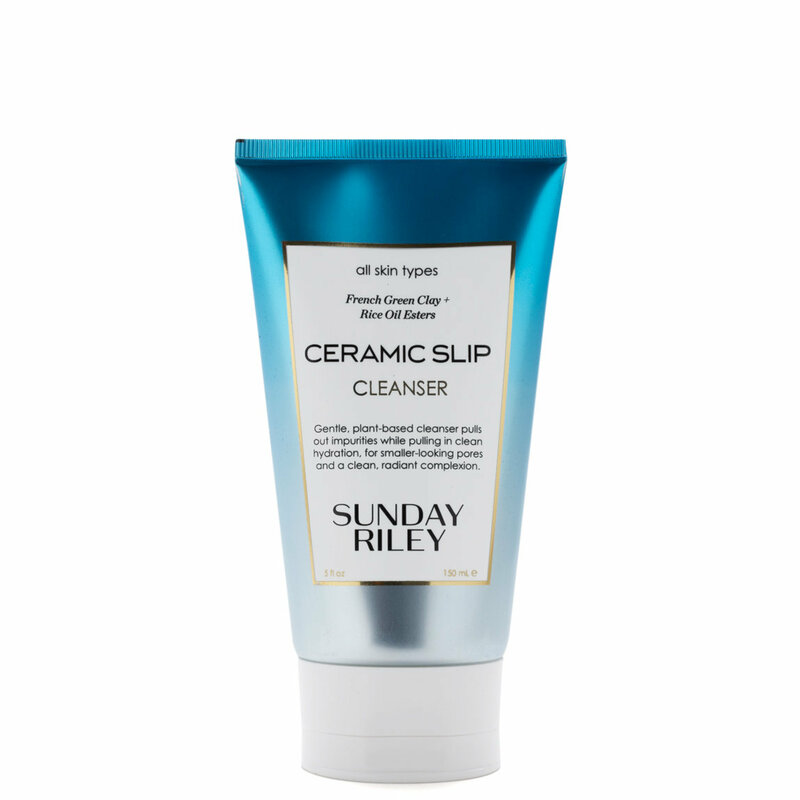 Ceramic Slip is my favorite cleanser as it does not leave a harsh dry feeling to the skin. I use it often and it leaves my skin glowing and feeling fresh. LOVE this cleanser! It leaves my skin feeling smooth, clean, and refreshed. My one partial complaint would be the scent, but it isn’t that strong, nor does it last. One pump goes a long way, too, although, I do wish I got a little more product for the price. Overall, I recommend it!